Q: What do government healthcare and agriculture strategies have in common? A: The increasing use of data analytics. Data analytics has the power to transform governments – the way they operate, report, regulate, and plan for the future. In this free on-demand online training, GovLoop’s Christopher Dorobek will lead a panel discussion with government leaders and industry experts about how agencies can take their data analytics to the next level and create a robust strategy to overcome common challenges. How data analytics are being defined in government. Best practices for understanding how to discern good data from bad data. 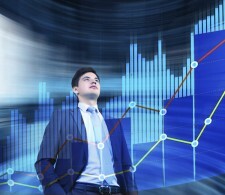 How to execute successful data analytics strategies.